The Oregon Solar Energy Industries Association is a trade association founded in 1981 to promote clean, renewable, solar technologies. OSEIA members include businesses, non-profit groups, and other solar industry stakeholders. We provide a unified and respected voice of the solar industry and focus exclusively on the solar value chain; from workforce development to permitting, advocacy, policy, and regulation for residential, commercial, community, and utility scale solar projects on the local, state and regional level. Our mission is to make solar energy a significant energy source and expand markets by strengthening the industry and developing a skilled and stable workforce. 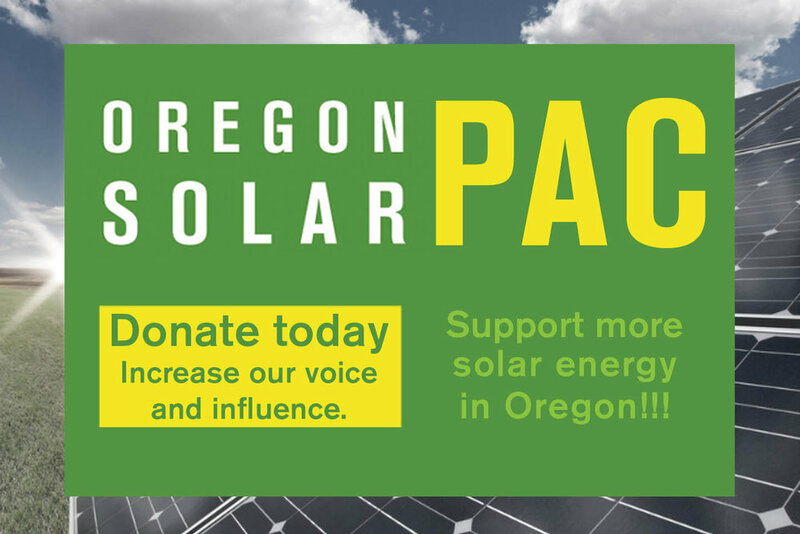 Present a unified and respected voice of the solar industry and solar energy customers on policy and regulatory issues to promote a vibrant solar energy economy in Oregon and the northwest. Deliver training and affect policy to develop a skilled and stable solar workforce. Organize events to enable member networking and business development. Gather and disseminate relevant information to educate policy makers, industry professionals and consumers on the benefits of a vibrant solar energy economy. Uphold a high code of ethics and standard of quality among its members. Partner with other organizations with compatible missions. OSEIA supports a progressive legislative and regulatory structure that fosters the development of solar technologies as well as efficient and effective installation of residential, commercial, community and utility solar projects. Programs should be simple to administer (from both government agencies and customers), with accountability and transparency built into the process. Programs should have built in metrics that measure progress and effectiveness. If incentives are used, they must be sufficient and meaningful to affect the desired outcome. Established by the Board of Directors, the Code of Ethics emphasizes the central tenets of the solar industry's installer community. OSEIA installers are expected to abide by these, and all other members are asked to support them in doing so.